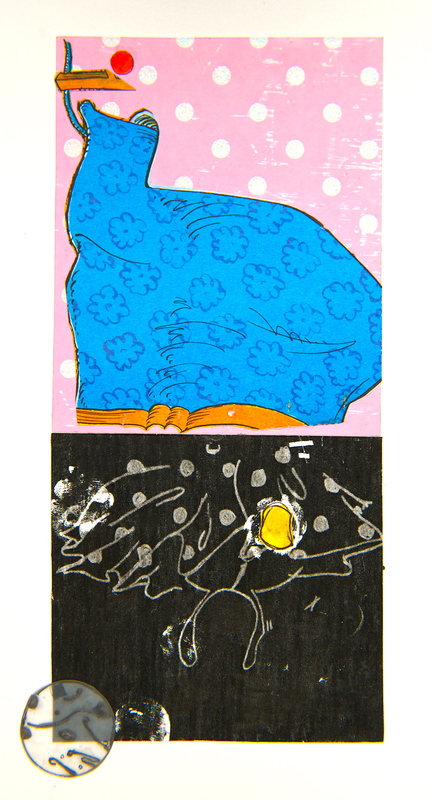 George W. Simmons brings a myriad of different life experiences to his art, displaying at times fearful and humorous themes simultaneously in his abstract collage monotypes. Mr. Simmons was born in Port of Spain, Trinidad. At the age of two, his family moved to Barbados, eventually moving to the United States when Mr. Simmons was seven. He received his undergraduate degree from Hampton University. Afterwards, Mr. Simmons moved to New York City, in order to study studio art at Empire State College and to be closer to the art scene. In NYC, he also worked as photographer’s assistant and a fine art transporter. He later earned his Masters degree in studio art at University of Wisconsin, Madison. Mr. Simmons has worked with the New York State Assembly as a photographer and is presently the Deputy Director of the photography department. 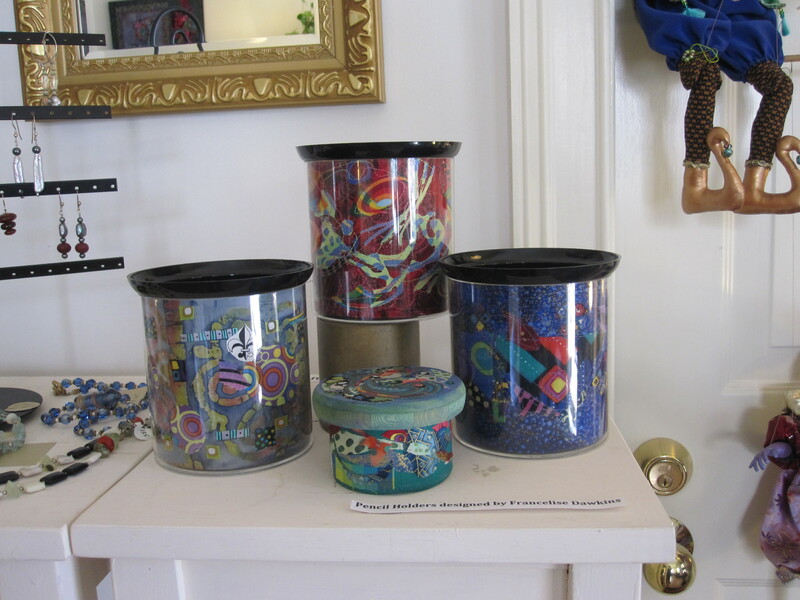 George W. Simmons has been included in many regional juried art shows, having received several awards. Mr. Simmons has exhibited and continues to exhibit in many fine galleries in the United States. This fascinating exhibition opens with a reception on Saratoga’s “First Night,” May 4 from 6 – 9 pm, and closes on Sunday, June 10. The Feneex Center is located at 30 Beekman Street, in Saratoga’s “Art District”. 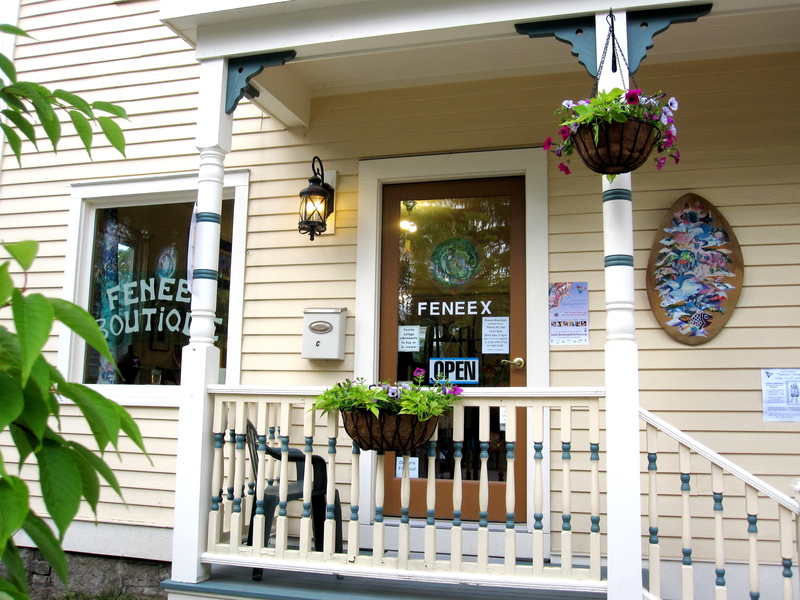 For more information call Feneex Boutique & Gallery: (518) 584.5550. Feneex Center to host the California Bali Collection! 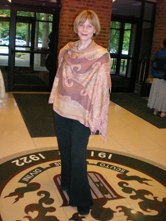 FENEEX CENTER will be hosting Dorothy Randall Gray’s CALIFORNIA BALI COLLECTION* of summer line clothes! Don’t miss this exciting SALE!! “There will be stunning designs in natural & easy care fabrics at affordable prices in every size! For over 10 years our exquisite clothing has been sold only at private showings. Now we are offering our entire collection to the public. Come and enjoy what our devoted customers have been raving about!! 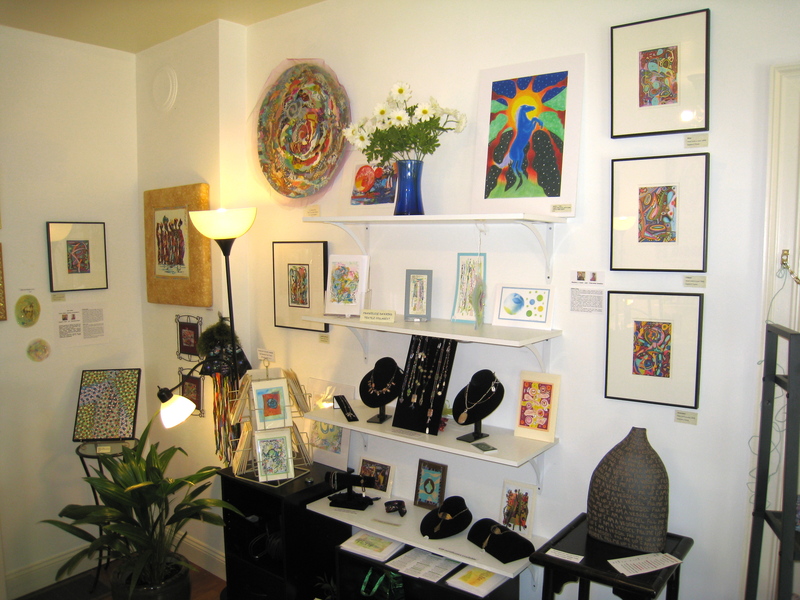 Shop our exclusive collection and visit the Feneex Boutique & Gallery next door for unusual gifts featuring colorful textile collage art by owner Francelise Dawkins and other artists. Feneex is a unique boutique and gallery of unusual gifts of art for one and all! 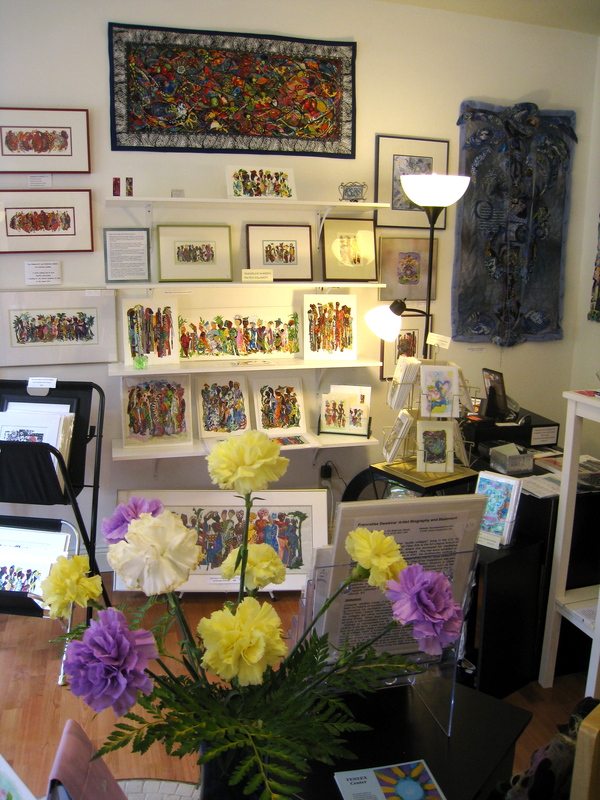 It features colorful textile collage art, such as The Community Gathering Series, ethereal mobiles, and printed art by owner Francelise Dawkins. 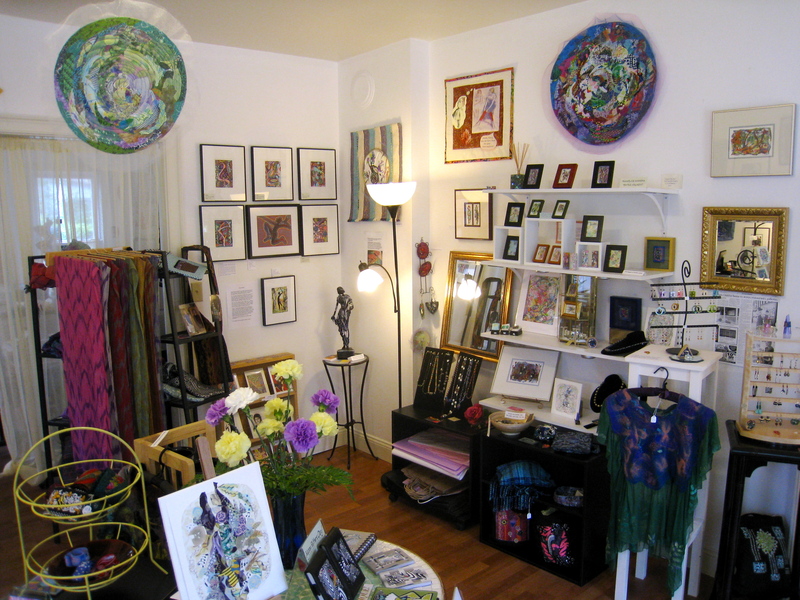 Also shown: vibrant drawings and paintings by Stephen J. Tyson; elegant silk scarves, Kimono bags & pillows by Charlene Leary; beautiful hand-painted scarves by Kathy Klompas; Om signs, quilted rugs, jewelry, and artful potholders by Danielle Lyons; jackets and tote bags by Peggy Long; jewelry by Cecilia Hayes and Chris O’Connor; fiber sculptures by Wil Ketjens; and original textile art cards by Joanna Monroe, and Fascinators and cocktail accessories by Becky Levine! We are located “downstream” on the “sweet extra-mile” at 30 Beekman Street (last building on the left) in the Saratoga Springs Arts District. 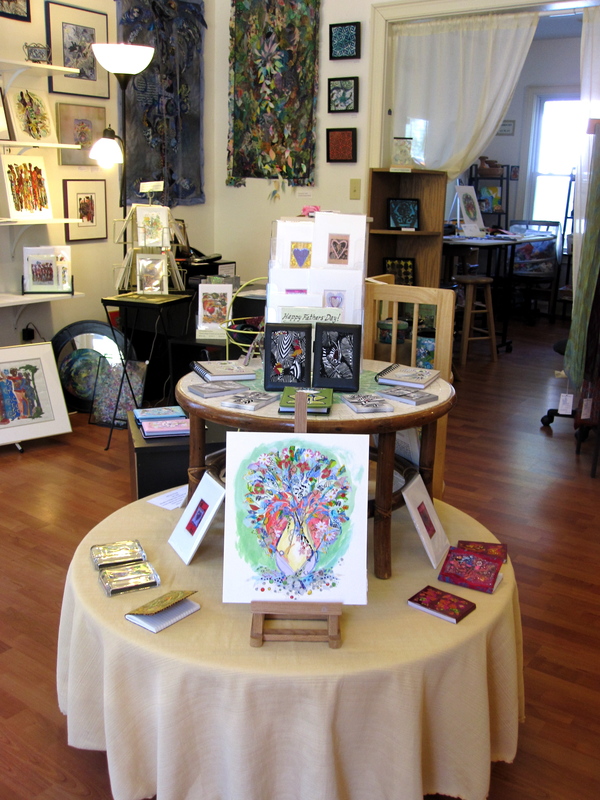 Inquire about collage workshops for you or a group of up to 8! Contact us at 518.698.3711 or Email: feneexoring@yahoo.com. Summer store hours: Thursday-Saturday, 11-6 pm; Wednesday & Sunday, 1-6 pm; Monday & Tuesday by appointment. Merci & please visit us soon!